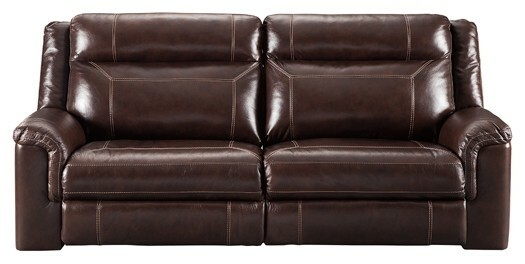 No gimmicks here. 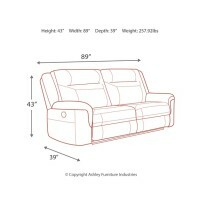 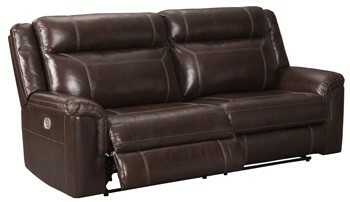 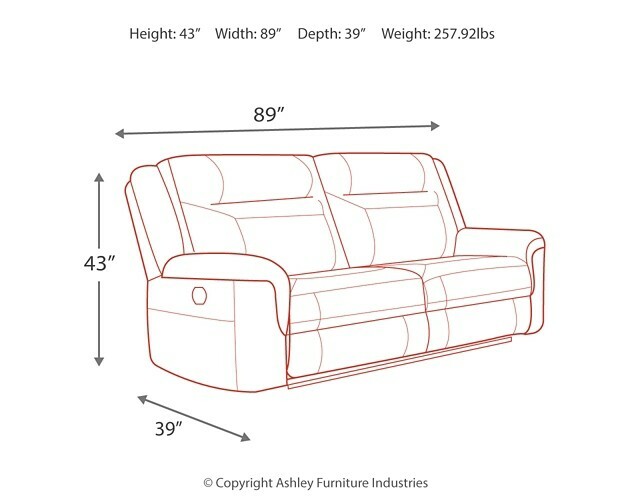 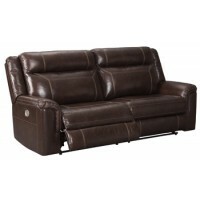 This power reclining sofa gives you all of the comfort without the bulkiness. 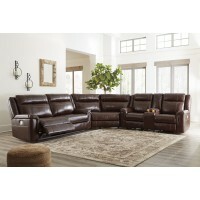 Clean and tailored profile is elevated with contrast jumbo stitching. 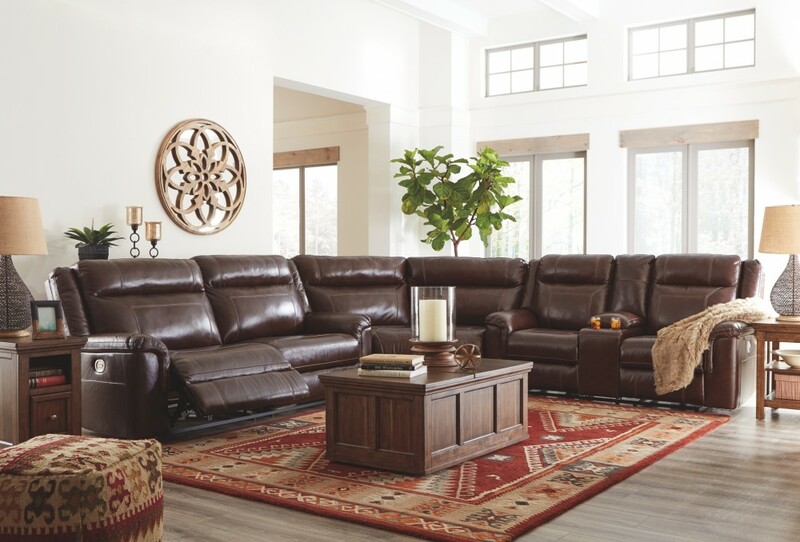 Feel-good upholstery is all leather on the seating area. 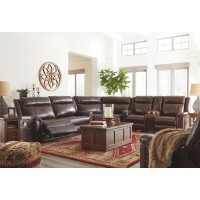 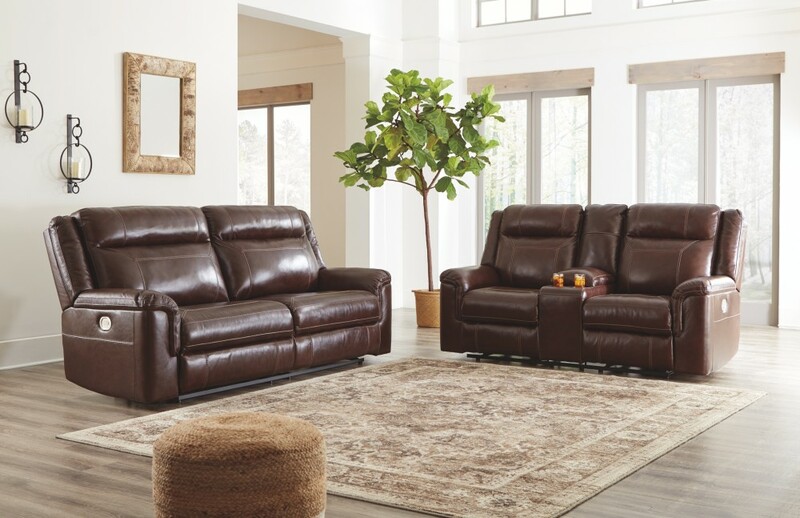 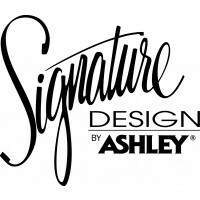 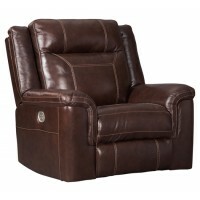 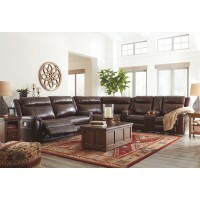 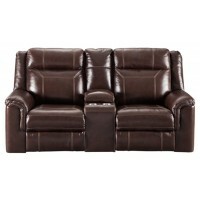 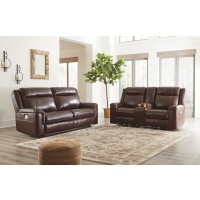 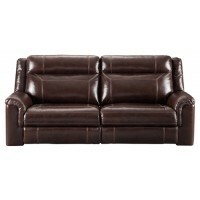 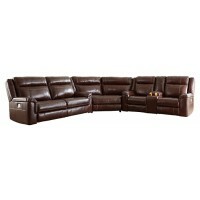 Rich coffee brown color with two-tone effect fits right into your homey living area. 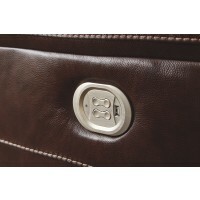 One-touch buttons let you recline and adjust the headrest with ease. 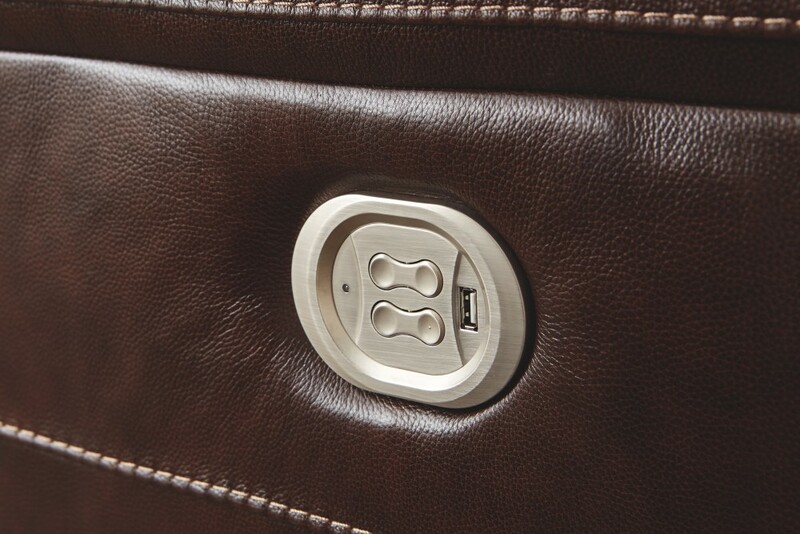 We go a step further to make your life easier with the convenient USB charging port.